We're back once again in Lawrence Avenue, that unadopted thoroughfare (or former thoroughfare)* which once connected Wheelock Street and Webbs lane, until the intervention of St Michael's Way split it into two dead ends called Lawrence Avenue East and Lawrence Avenue West. Our Now and Then picture shows us once again that charming, almost rustic, scene as the Avenue (then known as Lawrence Gardens) basked in the warm Edwardian sunshine, together with a shot taken in September this year which proves that, although places change over the years, they perhaps do not always change as much as we might think. Our musings on this photo can be seen here. 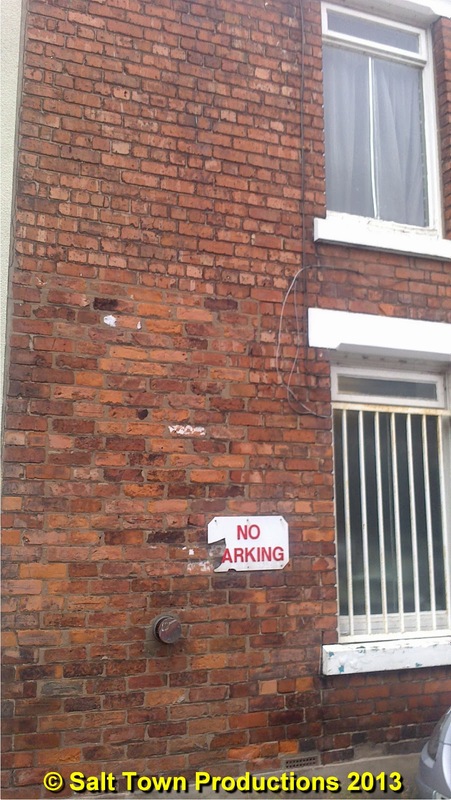 In 2013 we can see that the doorway where the happy Edwardian family were standing all those years ago has been bricked up, the approximate edge of the former door being marked by the red and white No parking sign. Something about the rather haphazard brickwork suggests that this was done not too long ago, probably in a bit of a hurry. Quite possibly this was done as part of the conversion of the premises into a shop. As late as 1937 this large building, on the corner of Lawrence Avenue and Wheelock Street, which is now a kebab shop and the premises of Brooks & Bostock,appears to have had large bay windows at the front. Was it originally a large family home, with servants' quarters at the rear, to which the bricked up door was an entrance? The basic outline of the rear of the building is still very much the same, with its sloping lean-to roof leading the eye to the rest of the north side of Lawrence Avenue which, again, looks remarkably unaltered, externally at least. 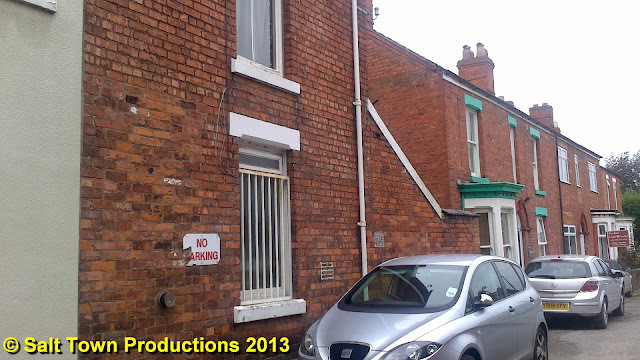 The first house in particular, now the home of a dental surgery, appears to have weathered the years remarkably well. *actually, even before the coming of the Inner Relief Road, Lawrence Avenue had not been a thoroughfare for many years. There were bollards at the west end of the road preventing access to vehicles from Wheelock Street.